We are Transpeak Walks - a free to the public voluntary walking group covering the Peak District. We specialise in station to station walks, concentrating on The Hope Valley (Manchester - Sheffield), Buxton & Glossop railway lines. The varied programme is based on the use of public transport to access the Peak District National Park. We have walked the Peak District for more than ten years. Our walk leaders are experienced hill-walkers some are Peak District Rangers. Our typical walking group is around 20-30 walkers depending upon the grade of the walk. So, take a look at our upcoming walks page, book a place and jump on the train to the Peak District for a great day in the countryside. The Peak District forms the southern end of the Pennines and much of the area is uplands above 1,000 feet (300 m), with a high point on Kinder Scout of 2,087 ft (636 m). Despite its name, the landscape generally lacks sharp peaks, being characterised by rounded hills and gritstone escarpments (the "edges"). The area is surrounded by major conurbations, including Huddersfield, Manchester, Sheffield, Derby and Stoke-on-Trent. Tranpeak Walks is financially supported by the High Peak & Hope Valley Community Rail Partnership and Northern Rail. We are grateful for the support of these organisations and also to our voluntary walk leaders and back markers. 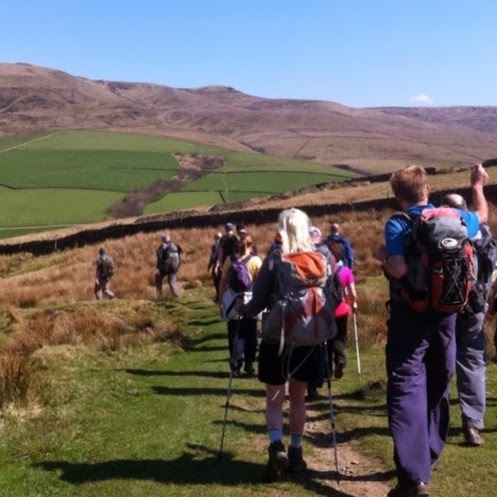 TRANSPEAK WALKS is a not for profit voluntary group which organises free to the public guided walks in The Peak District.